Hey grrl! How 's your week going? Do you need some mid-week inspiration? I hope this post can give it to you. 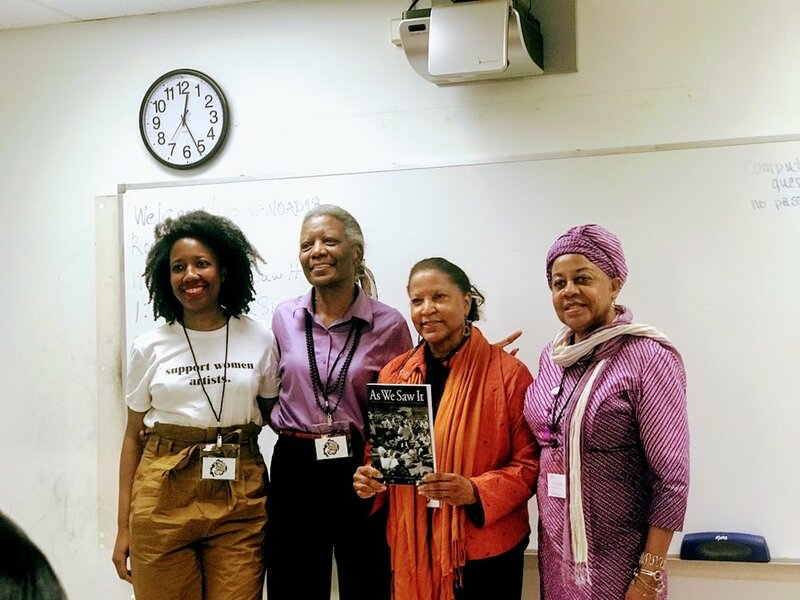 On Saturday March 3rd, I attended and spoke at the Womayn of the African Diaspora (WOAD) Summit presented by Counterbalance ATX, and hosted by Huston-Tillotson University. 1: Lessons from my first speaking engagement as 'Thoughts Caught in My Fro'! I basically invited myself to the #effyourbeautystandards panel, lol. I decided I wanted to start sharing some of my opinions outside of social media, and this seemed like a perfect opportunity. I whipped up a quick media kit within 30 minutes (if you're trying to pitch yourself for a panel, or you're a new blogger, and want to know how to do this, let me know), took a deep breath and clicked send. We talked about what it is like to grow up a girl of color in a world that prefers a Eurocentric standard of beauty. And while the topic of conversation started there, we also talked about so much more. We confessed our own insecurities, and found a way to celebrate our own. Lessons learned: I spend a lot of time angry at the world for making it difficult to be a woman, a black woman at that. I need to spend more time celebrating the gift I was given when he made me a black woman - my beauty, my value beyond beauty, and my community who support both aspects of my humanity. And you should too! Seeing rooms packed with WOC in the audience and on stage was really something. I don't attend a lot of events because the stages are often very vanilla. And they offer the same kind of conversation. This did more for me. I wish I could have seen more than three panels, but I appreciate each word uttered in these rooms. Lessons learned: Hashtags and social media mean more than they are given credit for by much of the world's community. Powerful conversation and fellowship were built around them for this event. 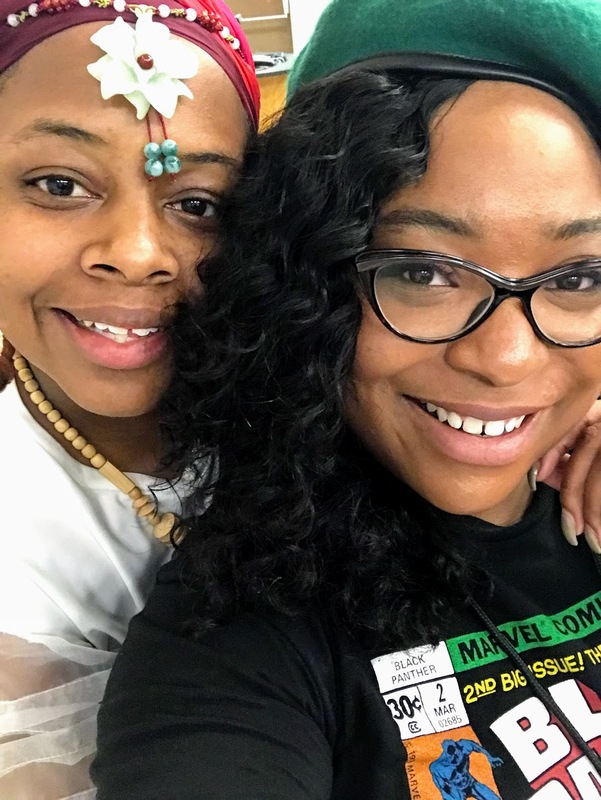 Although social media can breed some shallow and terrible ideology, it often provides people with a sense of community - and in this case - sisterhood. When I saw the subject of the first panel I attended, I knew this event was offering me something special. 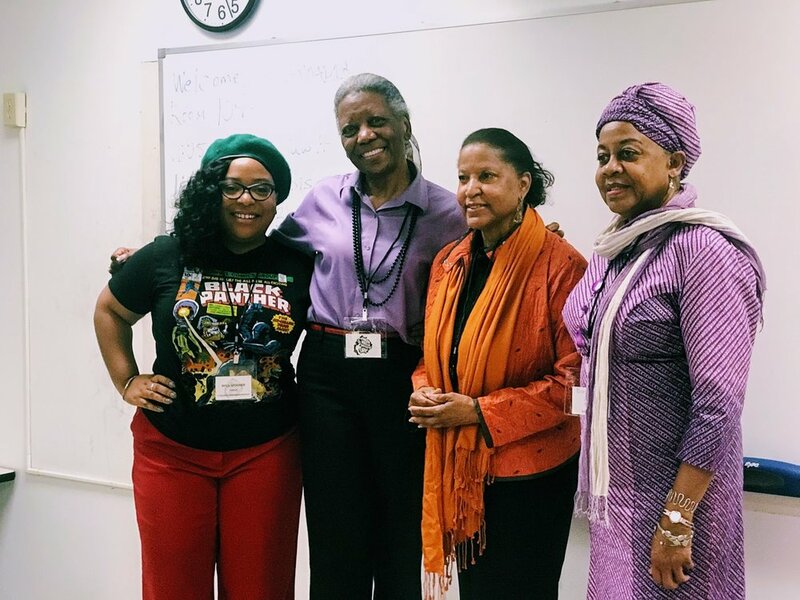 Thanks to the incredible, Virginia Cumberbatch - author, researcher, and Director of the UT Community Engagement Center - the #AsWeSawIt panel introduced us to a few of the University of Texas Pre-cursors: the very first black students admitted to the school. Virginia wrote and curated a book about these history-makers, and thanks to her blood, sweat, and tear-stained research we now know the stories of these men and women. If you're interested in learning more about their stories, pre-order the book As We Saw It: The Story of Integration at the University of Texas at Austin. Lessons learned: History is happening all around us, all the time. History happened right at our doorstep, and we may not ever know about it until we look hard for it. I didn't know anything about these women. Sitting with them was an honor. They shared their stories with humility and matter-of-factly. Our education system regards history as something far away from our current realities, but look! It was right in front of me. I remember reading about Ruby Bridges and the story seeming like mythology - not untrue, but a distant part of American folklore. Now I know to think more of my history. Now I realize that it's an attainable part of my story. Now I know I can sit with history, I can hug it, I can look into its eyes and see myself. Virginia Cumberbatch (Far L) and Pre-Cursors featured in "As We Saw It". The last panel I attended was a simple conversation between women. When I say simple, I don't mean devoid of meaning. I mean they are the kind of conversations that are easy to have as long as we are open to conversing with our sisters, no matter what age they or experience they possess. This panel included business owners, an entrepreneur from Tanzania, the first black teacher at Pease Elementary in Austin, and a preacher with a penchant for pies. We were introduced to Olyvia Green. When Olyvia was 26, her husband passed away and she and her two sons, ages 4 and 2 at the time, picked up and moved to Austin where she began substitute teaching. It wasn’t long before the principal of Pease Elementary, Ms. Hunter, ask that Olyvia join the staff at Pease Elementary. The year was 1968, the same year the Civil Rights Act was passed into law. During her job interview, Pease Elementary’s principal at the time, Ms. Hunter, asked Olyvia whether she thought George Wallace (former governor of Alabama) was prejudiced to which she responded, “Now, you know he’s prejudiced!” Ms. Hunter, impressed by her honesty, told her she’d received the job. Lessons learned: We need to save space for our sisters of all ages. Intergenerational conversation can change the world. Imagine what power we can manifest when knowledge is transferred between us all regardless of age, class, religion. I arrived at the summit a little late and snuck into the auditorium. I saw three women on stage with their feet in trays of water. I knew immediately what was happening. Fatima had initiated a foot-washing ceremony to honor these women. If you're not familiar, Washing of the Feet is a spiritual and/or religious ceremony to show love for someone else. Christian scripture describes Jesus saying, "very truly I tell you, no servant is greater than his master, nor is a messenger greater than the one who sent him. 17 Now that you know these things, you will be blessed if you do them". Lessons learned: Watching Fatima speak emphatically about how each of those women honored her as a sister or mother, and honored their community, was a reminder to thank people for their roles in my life while they are still in my life. Here's where I bare my soul. I have been suffering from depression for a while now, and over the last month I have been drifting in and out of it. I was able to come out of my own head briefly during this summit. Sure, my anxiety had me worried I said the wrong thing during my panel. But the summit also got me out of my shell a little. I wasn't totally paralyzed by fear and unable to connect with those around me like I have been in previous situations. I met some lovely women and got to catch up with friends I hadn't seen in a while. 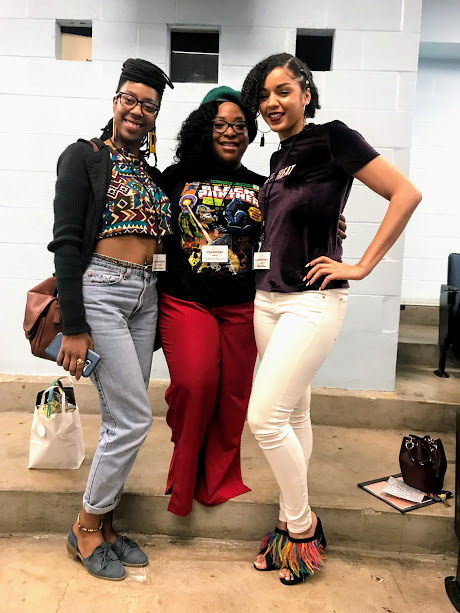 So before I let you go, I ask you - if you're a WOC, how are you growing and making sure not to leave your sister behind? If you are not a WOC, how are you making sure you aren't perpetuating systems that don't allow WOC to build relationships, engineer their future or express their pain? Tell me in the comments! And if you attended the summit, what did YOU learn during your time on campus? I'd love to hear from you. Don't leave this comment boxes empty, grrl.